It’s roof party season! 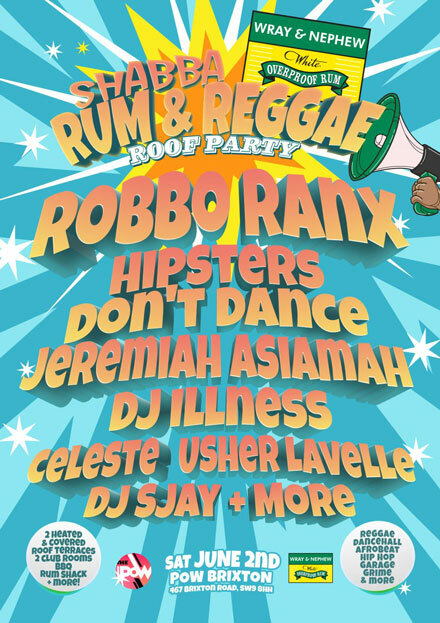 Get down to POW Brixton this Saturday June 1st for Shabba’s rum and reggae roof party, we’ll be there alongside Robbo Ranx, Jeremiah Asiamah, DJ Illness and more. Advance tickets here.